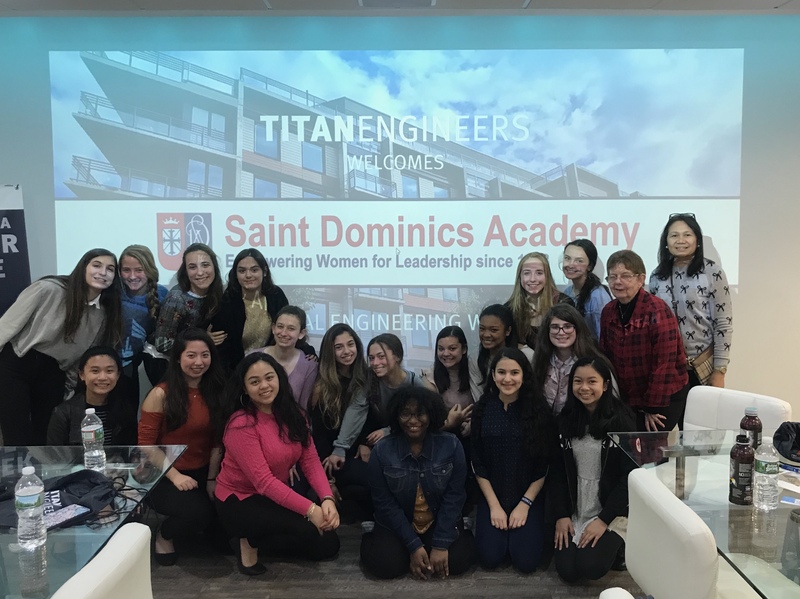 For the third consecutive year, Saint Dominic Academy, STEM students in both 7th and 10th grades had the opportunity to explore careers in engineering through a workshop held at TITAN Engineers PC in Union, NJ. The firm is owned by SDA alumna Cheryl Higgins Wong ’95 and her husband, Nicholas Wong, SPP ’94. As part of the workshop, the girls were introduced to the various types of engineering disciplines and then had the opportunity to visit with individual engineers to learn about the projects that they were each working on.